Growing up I ate toasted oatmeal bread for breakfast, oatmeal bread on my sandwiches at lunch, and often at dinner with butter and homemade strawberry jam. My mother made 2 loaves each week from The More-With-Less Cookbook, a wonderful addition to anyone’s cookbook collection. 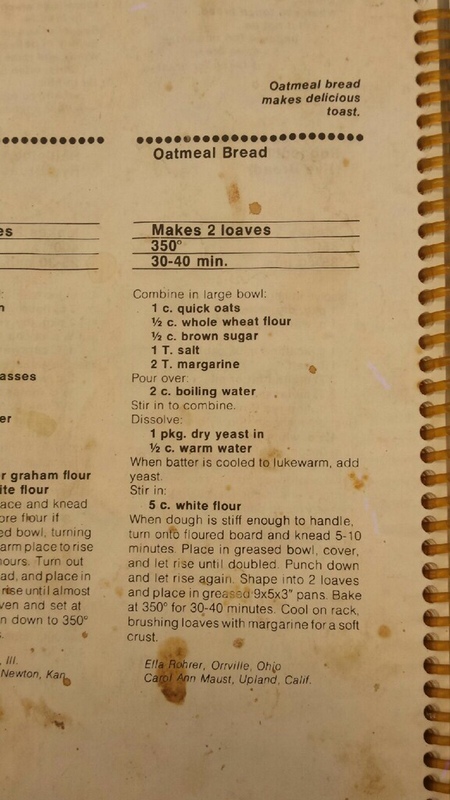 Published in the 1970’s this cookbook was a Mennonite response to the problem of overconsumption and world hunger--the inequality of food distribution. I now have my own copy, of course, and page 60 is stained with years of bread baking. Oatmeal bread is a favorite of my daughters and it is so easy to make! The recipe calls for two ingredients produced right here in Montgomery County: Use locally raised rolled oats from Silverthorn Farm or Trinity Acres. Find local honey at your farmers market! To purchase More-With-Less Cookbook click here.